If the card holder has been making late payments and their cards are maxed out then there are very limited chances to get the extended credit card limit. The credit card holders need the bank approval to increase their credit card limit. If the card holder has been making late payments and their cards are maxed out then there are very limited chances to get the extended credit card limit. 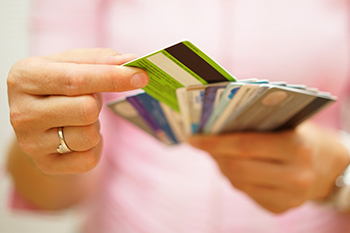 When the card holder requests for an increase in his/her credit card limit, the issuer will need to pull credit history to see if the holder is worthy. This credit pull will be noted on the holder’s credit report and will slightly lower the credit score, which is not a good sign. If holder applies credit extension for many credit cards then the multiple issuers will be pulling the holder’s report. Therefore, the holder’s credit score would get impacted heavily. The credit card holder should tell the issuer why he/she deserves the credit extension. The desperation to get the credit extension will weaken the chances to get it. When the card holder is denied getting an extension in the credit limit or the holder gets less credit extension as he has expected then applying for the new card is a viable option.